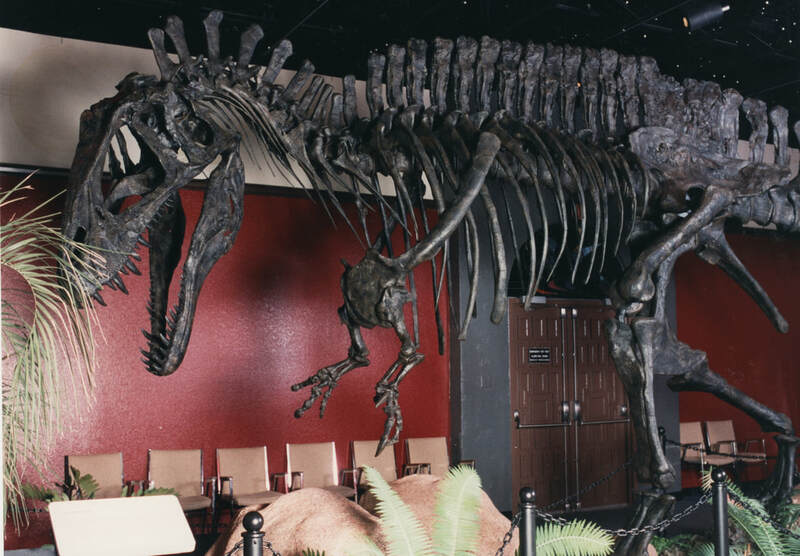 The World Museum Premiere of Acrocanthosaurus in 1996 was at the Mesa Southwest Museum in Mesa, Arizona. This amazing specimen had been recently discovered and was on display for the first time in any museum as a part of The Great Dinosaur Extinction Exhibition. This exhibition was created, designed and operated by Leonardo Project LLC founder Joe Iacuzzo. It broke all attendance records for the museum that later became the Arizona Museum of Natural History. 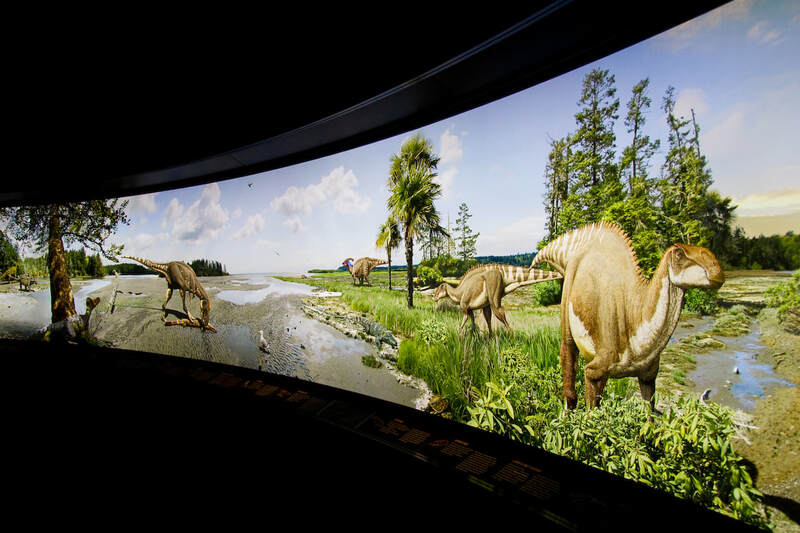 Another element of The Great Dinosaur Extinction Exhibition, this Daspletosaurus display was created to immerse visitors into the prehistoric environment of the mid-Cretaceous. Showing visitors that it wasn't just dinosaurs that went extinct at the end of the Cretaceous was a big part of the educational component of the exhibition. 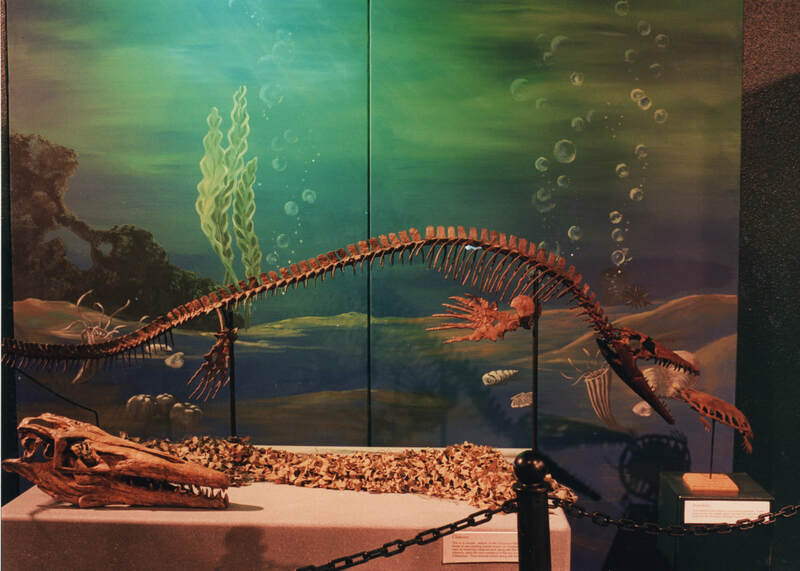 Also featured were marine reptiles and other sea creatures along with explanations about what drove major extinction events on a global scale. 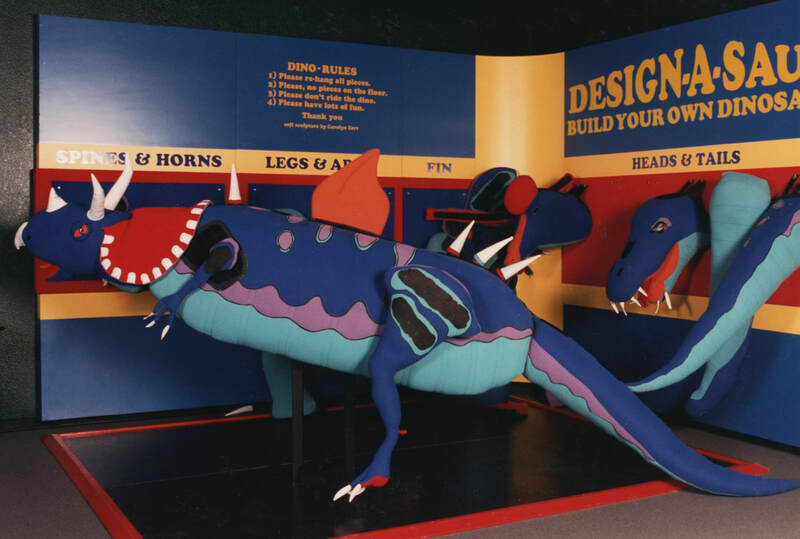 One of the most popular elements of the exhibition was the Design-A-Saurus. This highly interactive and fun exhibit element allowed children (and many adults) to indulge their creativity and make their own unique dinosaur. At more than 10 feet long, these creations were probably the most photographed in the exhibition! 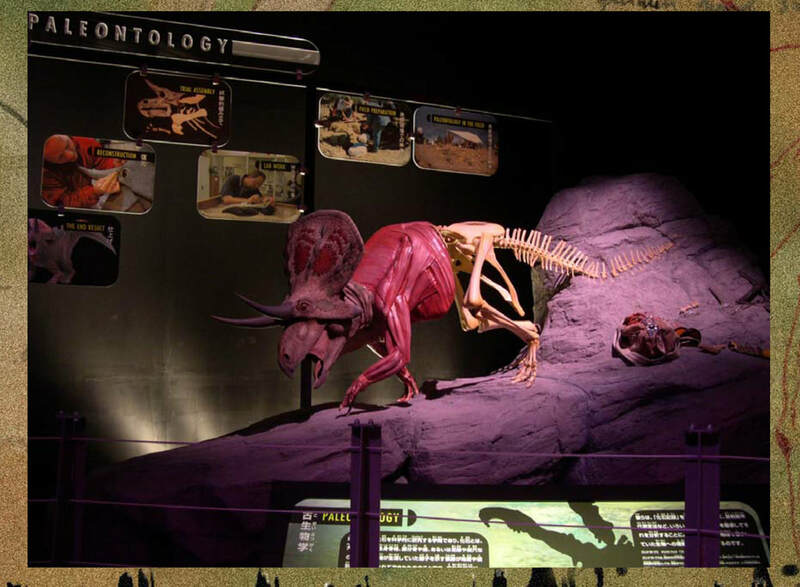 This unique view of Zuniceratops was created to show visitors how a scientist uses the information provided by fossil bones to reconstruct the musculature and skin of a dinosaur. 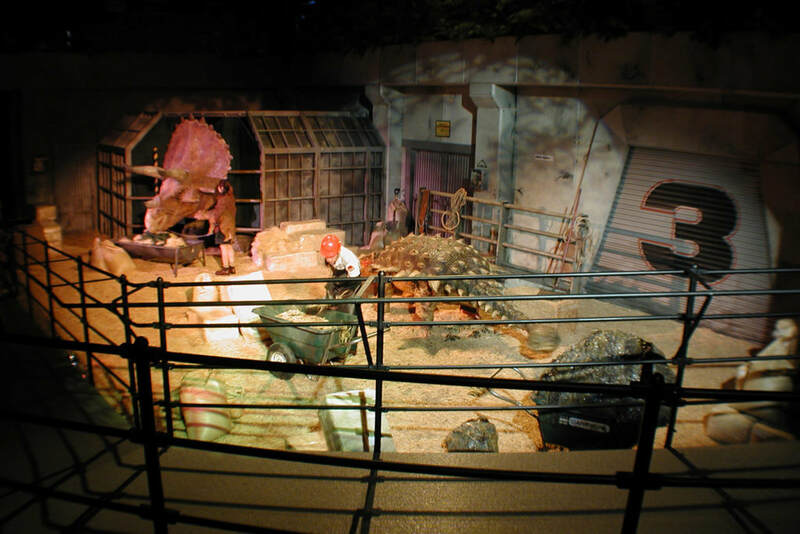 This exhibit element was designed to recreate a scene from the Jurassic Park 3 film. 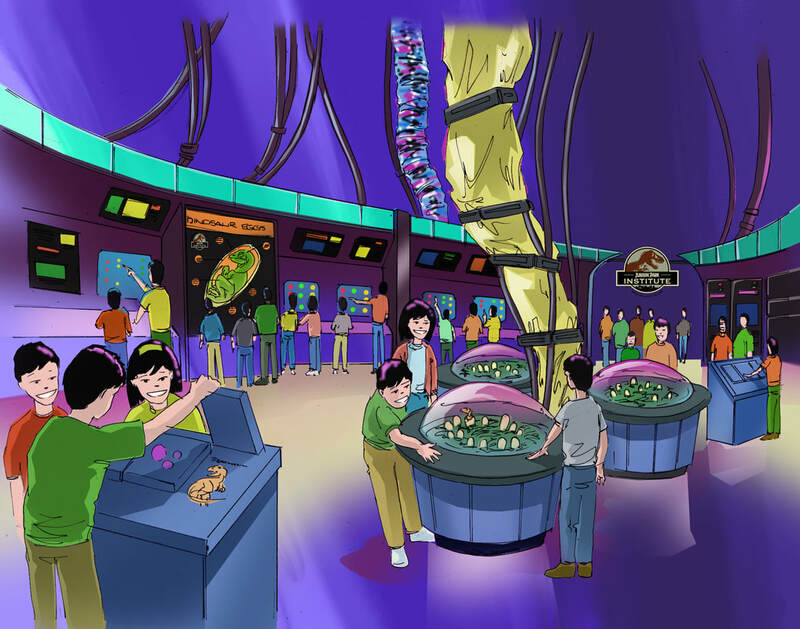 Above is the initial artist's concept drawing of an exhibit element, the Jurassic Park laboratory. The final element created for the Tokyo exhibit is shown below. Leonardo Project principals work closely with artists, curators and construction staff to bring exhibits from concept to reality. All of this is done within the framework of insuring that the integrity of the exhibit story and the science are preserved. 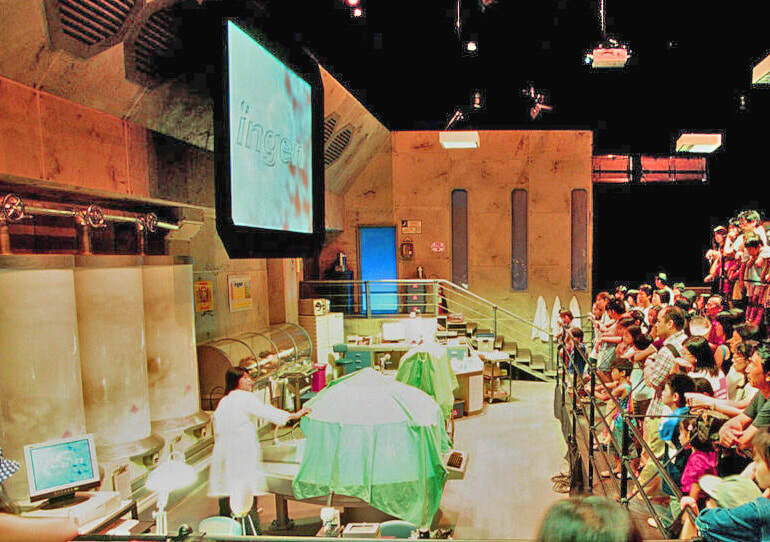 Part of the immersive experience of the Tokyo exhibition was to use actors throughout the various exhibit elements. 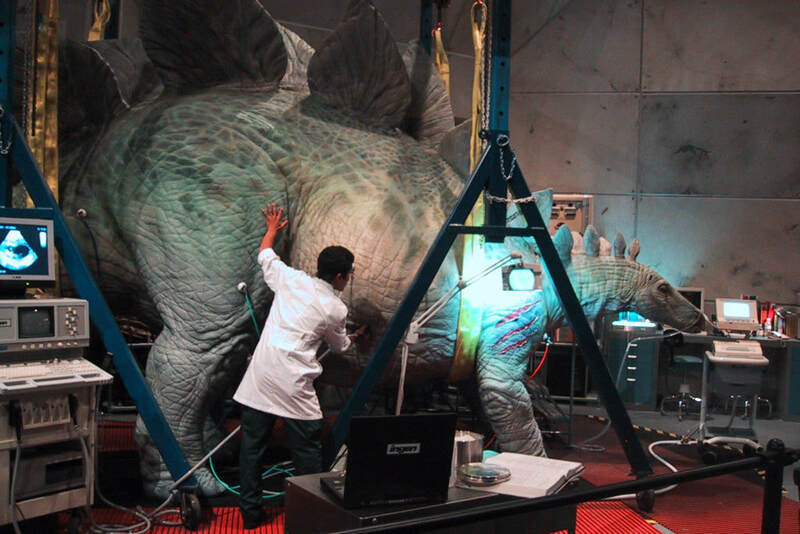 They would explain what they were doing in their various parts of the Jurassic Park complex. This is a scene from the veterinarians office. Commissioned by Joe Iacuzzo specifically for the exhibit of the Leonardo specimen, this amazing mural by artist Julius Csotonyi was 64 feet long and 4 feet tall. It featured the plants that were found in the gut contents of the fossil specimen, allowing Mr. Csotonyi to accurately recreate the late Cretaceous environment where Leonardo lived and died. The mural tells the story of a day in the life of the dinosaurs of ancient eastern Montana. 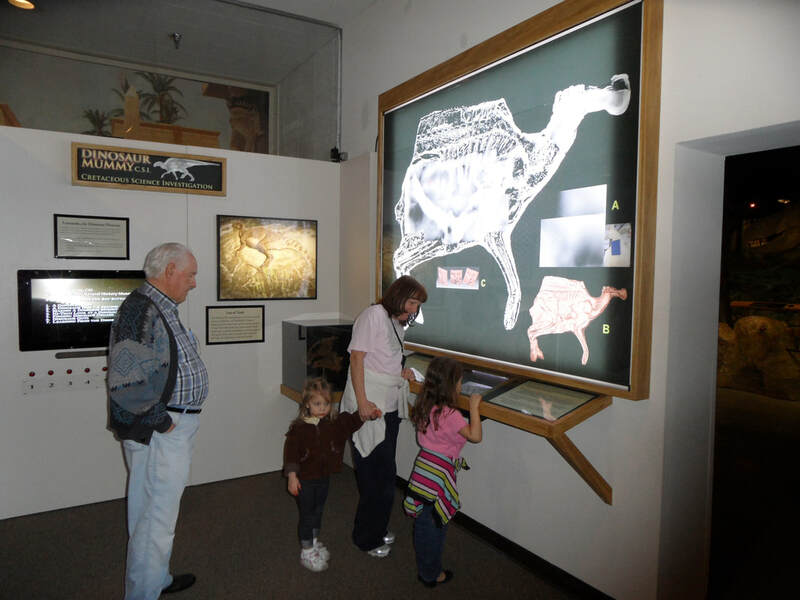 Visitors to the Houston exhibit view the images of the specimen created by the unique technologies used to image the fossil. A team of more than 100 scientists and technicians were brought together to study this most unique fossil. 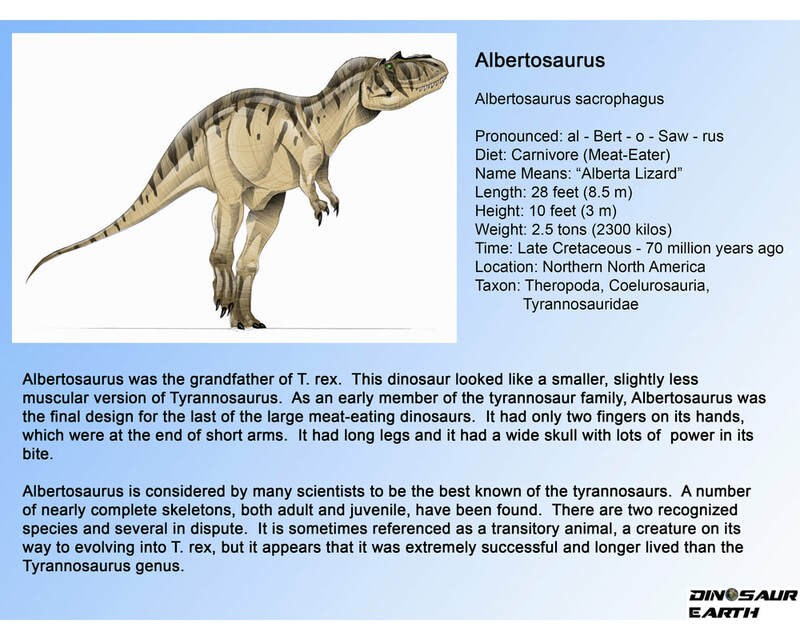 Many technologies were applied to study the specimen that had never before been used in paleontology. The image in orange was created from a white light scan of the fossil. 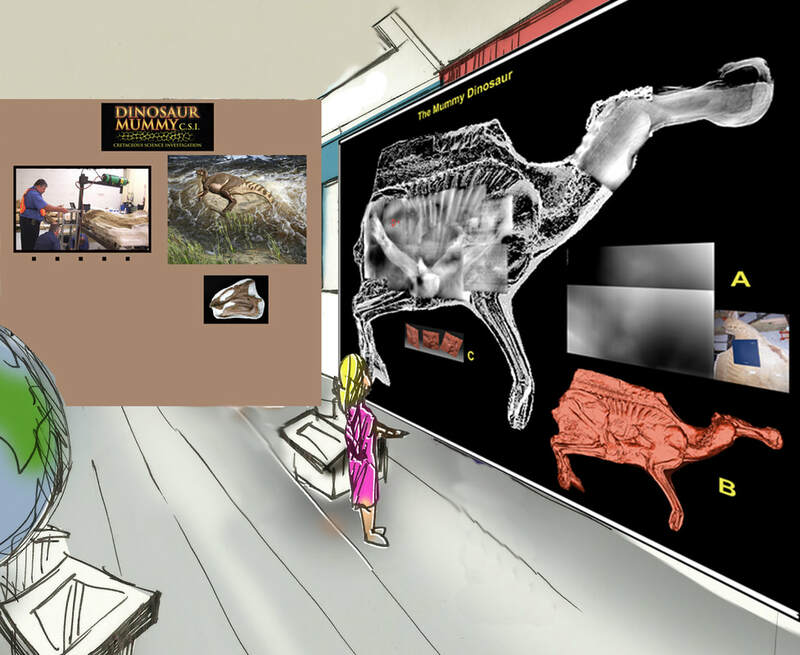 Above is the concept drawing for the installation of the Dinosaur Mummy CSI exhibit for the Las Vegas Natural History Museum. Below is part of the final installation. 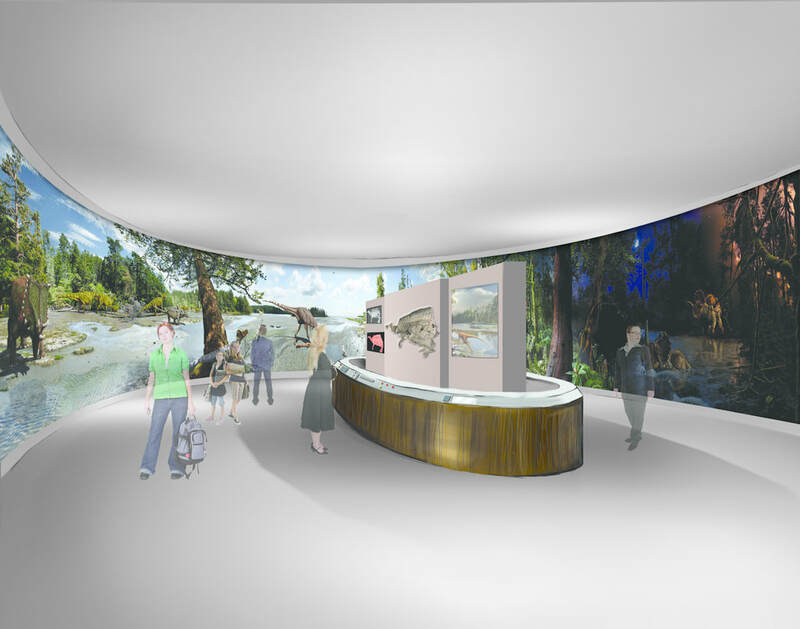 Above is a concept drawing that shows the Csotonyi mural in its full scale and utilized to encircle a room. 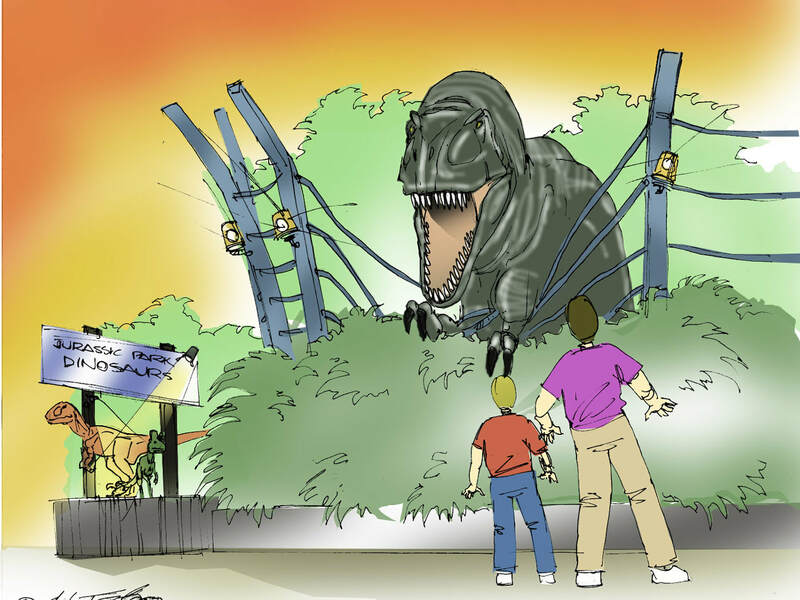 Below is a concept drawing of a T. rex encounter for the Tokyo JPI exhibition. Working with artists to visualize exhibit elements is a key part of developing an immersive story for Leonardo Project LLC exhibits.